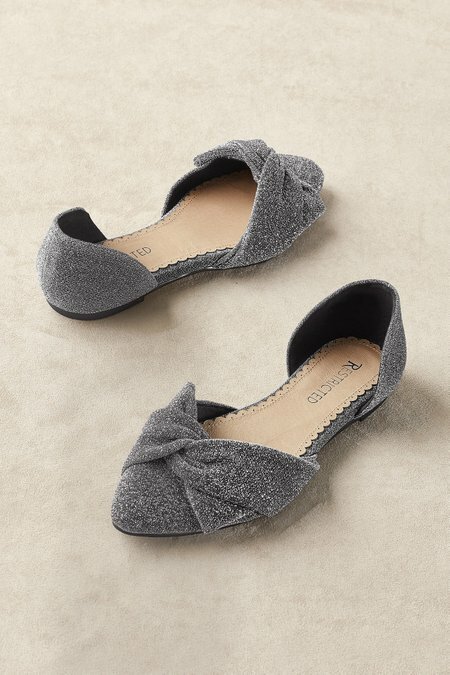 Ready for party season in these d'orsay flats with pointed toe and an elegant knot on top. Sophia impresses in shimmering fabric. Leather lining and insole; rubber outsole. 1/4" heel.